Pinecastle Records. The band’s new single, “All We Ever Do is Say Goodbye“, is now available on AirPlay Direct and will be featured on their upcoming, self-titled album to be released on September 10, 2013. This is such exciting news for us. We are thrilled to join Pinecastle Records and share some new music with our fans – Lorraine Jordan. Lorraine Jordan & Carolina Road’s distinct sound and old-time flair can be attributed to bluegrass-rich area of North Carolina from which they hail and borrow their name. As the founding member and bandleader, Lorraine Jordan’s showmanship and chemistry with the audience makes the group one of the most popular bands among bluegrass fans today. 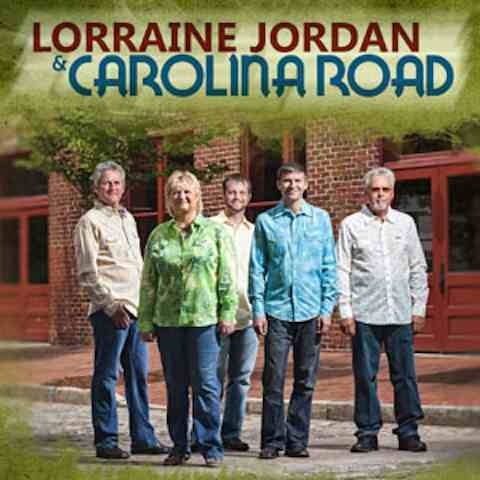 Lorraine Jordan & Carolina Road is composed of Lorraine Jordan (mandolin and tenor vocals), Tommy Long (baritone vocals and guitar), Josh Goforth (fiddle), Ben Green (banjo), and John Bradley (bass). The band has earned a reputation as one of the hardest working bands in bluegrass, averaging 60 bluegrass festivals in the U.S. and Canada annually along with headlining the Bluegrass Cruise and hosting the Canadian Bluegrass Awards, Christmas in the Smokies Bluegrass Festival and Bluegrass in Cherokee. For more on Lorraine Jordan & Carolina Road, visit visit their website. Make Welcome Entertainment provides management and publicity services for bluegrass, roots and country artists. With offices in Nashville, Tennessee and Washington, DC, Make Welcome is well positioned to focus on the details so artists can focus on making great music. To learn more about Make Welcome Entertainment, call 1-­800-­838-­6087 or visit visit their website.